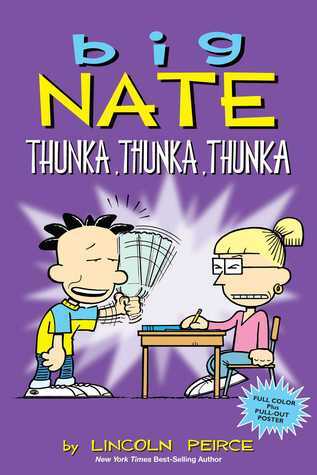 Big Man Nate is back and funnier than ever. For a middle schooler this kid is sure full of sarcasm and puns. We see appearances from all our favorite characters and more of Nate’s grandparents. I think I know exactly who Nate takes after **grandpa**. This comedy packed book will have you laughing off your seat.